What If She Never Knocks Three Times? Music has always been a big part of my life, in particular songs with great lyrics or telling a great story to which I can relate. So, from time to time I find myself telling Alexa to play something from my past to retrieve and relive those memories. 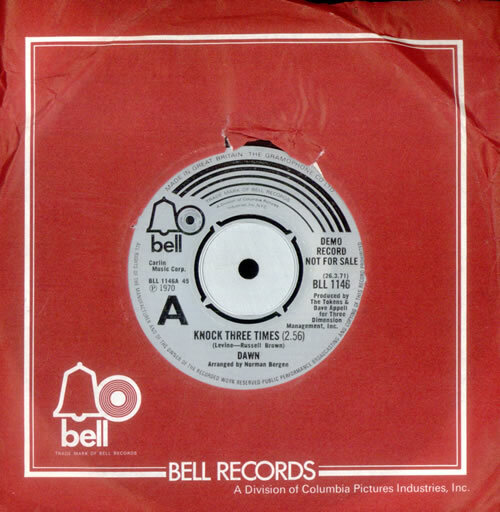 Recently, I told Alexa to find and play the Tony Orlando and Dawn song Knock Three Times*. Even though I was living in a single family, single story home in Oklahoma; somehow, I related the lyrics of the song to my life and to my first forays into love while surviving the beginnings of adolescence at Tomlinson Junior High. As I listened to the song about a man living in the apartment above a lonely woman who did not even know he existed, a question arose in my now adult mind -- was he stalking her? I played the song again and listened to the song with a different ear and noticed details I had somehow missed…. He knew what music she listened to; in his own mind he thought he could feel her move as she danced by herself; he thought he was in love with her even though he had never met her; and rather than receiving a definitive acknowledge of his interest from her – he was willing to rely on the building’s sound effects as an indicator of interest. It almost seemed like the prelim of an episode of Law & Order SVU which ends with the guy being committed for hearing voices. Kinda creepy, but is it what the song really means? No, of course not. The story of two people coming together after one notices the other from a distance is relived and retold daily. He saw her, he thought about her, and he was just waiting on her to tell him she was also interested in him too. It may be a bit of a stretch for him to be declaring love for a woman he has never interacted with but is it any more than poetic license? Is he just trying to tell her how earnest the feelings he has for her are? Sure, we have to let emotion have the validity of the moment and try not to view it from an outside prism in which it exists. In other words, the only way to get from a simple song of random attraction to a creepy stalker is by adding emotion and meaning which just isn’t there. What was there, all the way back in 1973, were my 14-year-old feelings for a girl who did not even realize my interest in her. It’s okay, Rosetta and I eventually became friends-- though I held my true feelings for her as a secret. My memories of the time are positive, as are my recollections of this song and I will not allow some huge leaps to conclusions brought on by some notion political correctness to soil the memory or the truth of that time. 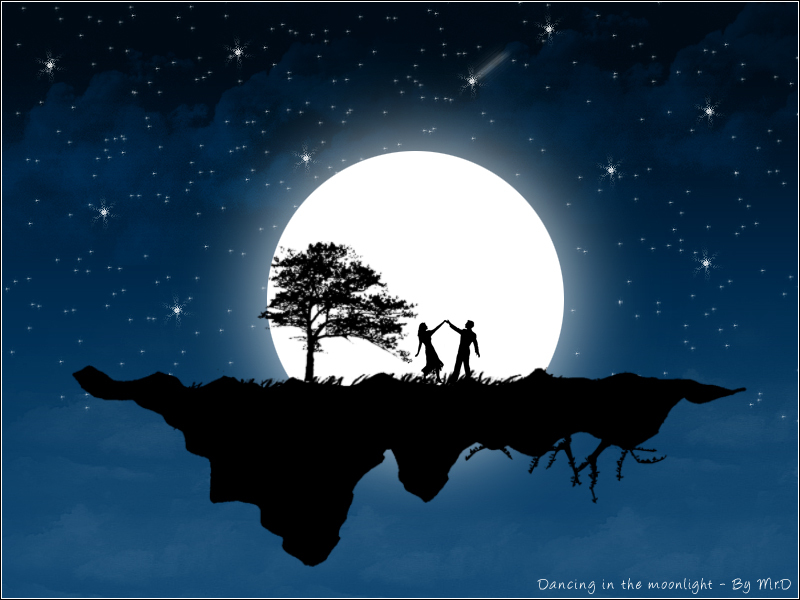 The next memory evoking song Alexa chose was Dancing in the Moonlight by King Harvest. Another great tune – and a song which eventually turned into an outline of a novel about childhood friends trying to conquer the realities of adulthood. 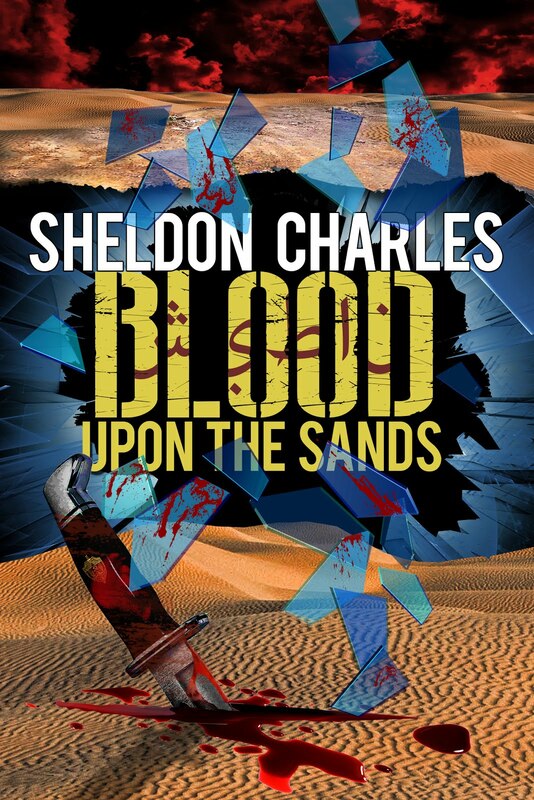 One of them is framed for murder, leaving another to uncover the truth at the insistence of the girl, now a woman, who was the cause for the friendship falling apart years before. A friend from college recently told me "if you are friends with a writer, you will live forever." As I find myself putting more and more words upon the page, I see the wisdom in her statement. Writing also serves a cathartic purpose as you finally get a chance to say all those things you wished you had said and lived through the endings you felt should have been versus those which were. My guess is songwriting is a lot like that too -- I wonder if she ever knocked three times? * The song was initially released under the artist name Dawn, it was later the group’s name changed and the song re-released under the artist name Tony Orlando & Dawn. I have been working with keyboards since I started with computers back in 1978. Since then IT has been my career and as such I have always allowed myself the best, newest and fastest systems as soon as they hit the market. And with all that tech, I never gave the keyboard a second thought. When I redesigned my office space, I wanted to move the computer away from the desk and so I started looking for a wireless keyboard -- that search led me to this set. I had never spent more than $20 for a keyboard, given that it is my primary tool maybe it was time I did so. DAMN GOOD DECISION. This set is awesome. I have always ignored the adjective ergonomic when it came to mice, but this one is and all the buttons and wheels are in the right place. The keyboard itself is so quiet and the key presses as easy and smooth. Wonderful! Have never noticed lag (and I type fast) or drop off of signal. Well worth the $$$. Go ahead and get it, you deserve it -- I did. To me, socks are about as mundane an item as there is. Until I went to the Air Force, my sock drawer was full of one size fits all white tube socks a majority of the time. One notable exception was a pair of toe socks that I won in a radio contest by being the 32nd caller; I never wore them, but they were in my sock drawer. While I was in the Air Force, I was forced to wear black socks and during the first few years I actually wore the wool socks that they provided me. I hated them, they were hot and itchy. When someone got smart at the sock factory and started producing tube socks in black, I transitioned over to them. Now, when I would dress up I did wear other types of socks, but nothing that was either outlandish in color or style. My socks were purposely boring. Just after I bought my new keyboard, I saw an ad on Facebook for something called Bombas. You may have seen the ad and ignored it, I did too. 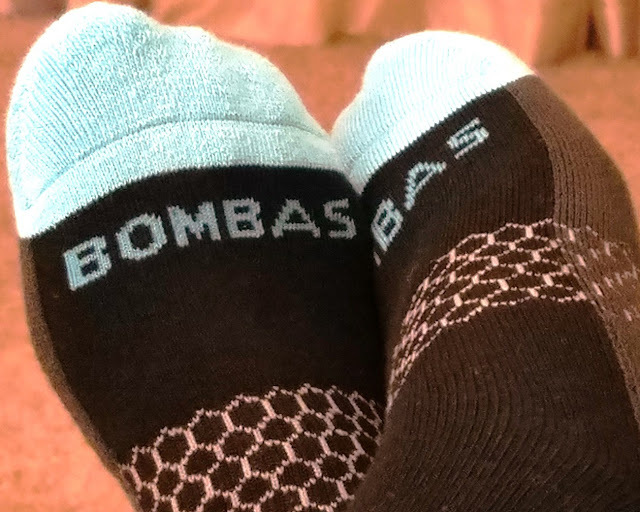 Until that fateful day when I mistakenly clicked on the damn thing and the Bombas website appeared and discovered Bombas were socks. They were wildly colored socks but aside from that, they were socks. They didn’t even have the decency to try and tempt me further by providing a really hot looking model wearing nothing but socks - or holding strategically placed socks. They were just socks. Something must’ve been right about the website because I actually took the time to click on the Sock Tech page and read all about what went into the Bombas socks. Admit it, you are just like me and really don’t give a crap about Sock Tech. If it’d been another day, I might have not given a crap either. But the socks I happened to have on that day had bunched up around my toes and were about to require me to take my shoe off in order to straighten them out – – again. By the way, the high-end socks I was wearing cost me, I think, $8.99 for 10 pairs or something like that. Bombas somehow inspired me to look at an ad for socks that were apparently so expensive the price was not even displayed on the pages I had seen thus far. You know what that means in a restaurant? Well, it probably means the same thing on a sock website – lobster priced socks...but back to my story – – I read all about the tech that went into the socks. I have to admit, it was impressive. There was technology to make them stay up, support your arches, prevent blisters, and they even get rid of that damn seam that usually runs across the top your toe and hurts after you’ve been walking for a while. Due to the planet’s alignment on that particular day, as well as the failure of the socks that I was currently wearing, I decided to try a pair or two of Bombas. Actually, due to the limits of their free shipping and handling offer, I tried three. One black pair, one grey pair -- both calf height, and a pair of ankle height to round it off. The socks arrived in no time flat, and I took some time to look them over and compare against the finer points of Sock Tech. The colors, were really cool and depending on which style you order the colors are completely hidden from the casual viewer by your pants leg or the shoes you are wearing. As a result, you get to be the wild freak you want to be without letting anyone else know who you really are. Part of the sock’s design and use of various colors and other markers is to indicate the presence of each of the unique features of the socks. But there was no way of telling if any of that actually works, without wearing a pair. So, the next morning I did. The first thing I noticed when putting the socks on was that they fit from toe to heel. That means that the part that was the pattern for the toe was actually on my toes while the part that was patterned for the heel was actually on my heel. I bought the large size, which the website said was appropriate for my size 10 ½ foot. The sock only came up to the lower part of my calf, which was okay because that’s where I actually liked my socks. I say this here only to clarify where their particular socks fit because I’ve had calf fit socks that actually went almost to the bottom of my knees. At the end of the day, the top of the socks were in the exact place where they started. In other words, they did not slip or fall. Other features of the socks became apparent as the day went on. My feet never felt overly hot, cold, or sweaty. There was no irritating seam going across the top of my toes, grinding against them all day long. Even though the socks were not overly thick, they did feel well cushioned. The honeycomb technology may have helped out around the arch, but a side benefit that I think I felt was the fact that the extra structural integrity there helped with padding and supporting the insoles that I wear. The biggest selling point was that the issue I had had with my previous socks bunching up inside my shoe has never occurred with a pair of Bombas. Up until now, I have not listed the price for the socks. I will do so now – – they start at $12 a pair. But there are various ways to reduce that cost to include using this link which will give you 20% off plus free shipping if you by over $40 worth. You can also buy the socks in bulk packs of four or eight and get a percentage off as well. Now consider the part of the deal that is not in the package Bombas sends: accidental good karma. Aside from the Sock Tech my feet were now enjoying, the company also designed some socks specifically for homeless people. They too have unique features like a treatment that prevents fungus and bacteria from growing even if the socks are washed infrequently, they use darker colors, and are fully reinforced for a longer lifespan. I know what you’re thinking: That’s great but how can a homeless person afford high-quality socks? Well, for every pair bought, a pair is donated. By the way, the donations are not made only in Bombas’ neighborhood but in neighborhoods across the United States. How cool is that? Over time I will gradually replace all my socks with Bombas. I will end up with a higher quality sock that performs the way a good sock should and some homeless person will also benefit from the same and in case it had not occurred to you up to this point – – that is a good thing. The only negative that I can mention about the socks is the way Bombas handles their bulk packs. If you choose to get a bulk pack of four or eight, you do not get to pick which colors you get in that pack of four or eight. This was a bummer for me because after my test run with the socks I decided to start replacing the socks in my drawer with Bombas so I ordered five pair, but because I decided I wanted to specify the colors I could not order the discount bulk pack and paid more for the privilege of choosing the colors that I would wear upon my feet. I will continue to look for day-to-day items in my personal life that can benefit by being upgraded. As for my socks, a majority of days you will find a bee logo on the side of them. After all, Bombas is the only company I have ever run into that has a 100% happiness guarantee -- how can you pass that by? Note: Yes, I am the model in the above picture and I am available for sock modeling gigs worldwide. Please contact my agent. Way back when I was 10 years old or so, I went to my first sleep away camp at Lake Arrowhead, California which was run by the YMCA. There are many things I could write about the camp, just like everyone else who has gone to camp, it is impossible to escape without more than a few One time at camp stories. But it was at this camp that I found out what I wanted to be when I grew up. Every night of the week we were there, there was a huge bonfire down by the lake right at sunset. It seemed like there were thousands of us gathered there, but in reality, it was probably only 2-300 boys gathered around in a semi-circle being led in cheers, songs and watching skits. All of this was new to me. I was not a Scout yet, so camp was a big bag full of new stuff to be a part. Then at the end of the evening came an act that changed my life. Too many years have passed since I have given this serious thought, so the character’s name escapes me now, but I remember the important parts. He walked out slowly from the darkness, using a cane to walk and wearing a jungle explorer jacket and pith helmet. His beard was long and obviously fake, and he wore wire-rimmed glasses. Everyone fell silent as he walked to the center of the fire ring, and then some staff member from the side ran to center stage and placed a small stool a few feet in front of the fire. The interloper slowly sat down on the stool and then took off his glasses and cleaned them using a handkerchief he had taken out of one of his many pockets. No one said a word as all this happened and the only sound was the crackling of the fire that roared behind him. I can’t really recall any of the qualities of his voice other than it was clear and loud enough for all of us to hear. Even among us first timers, there was a sense of expectation as he cleared his throat and then began to speak. Then, he told us a story. It was something I had never heard before, and as he spoke, he used facial expressions and hand gestures to emphasize points. The story was a combination of local legend, tall tales, and humor; all told using various voices and sound effects he provided. The assembled crowd was no longer silent as we laughed, cheered, and shouted comments as all this went on. The story would go one for several minutes, and as it did, the teller of tales would eventually stand and walk from side to side in front of the assembled crowd as his story came to the climax; his gestures getting more wild and inspiring excitement. When he finished his story, he would slowly drop his hands to his side and lower his head – as the absolute silence returned. Then, as if on cue, we all exploded in loud cheering and applause. Over the course of my life, I have come to realize that what we all witnessed was a master storyteller sharing his craft. 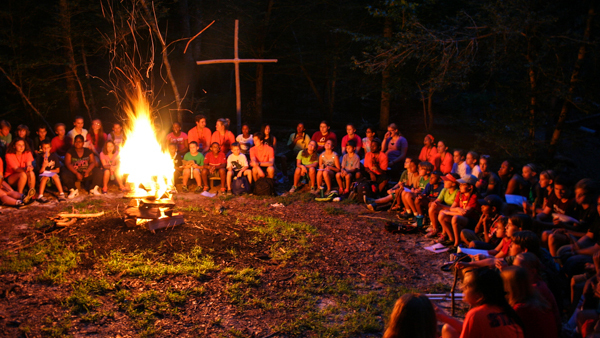 I went back to my cabin every night of camp inspired and knowing the career path I wanted for my life. I wanted to be a storyteller too. Later when I was a Scout and an adult Scout leader, I had my chance to tell tales around a campfire from time to time (even adding a guitar now and then), but it was never a full-time pursuit. As years went, reality sank in, and I pursued a very satisfying but different career path that has provided well for myself and family, but I never forgot those nights around the lake or the desire to be a storyteller. Fast forward a few decades to 2012 or so, Camp Arifjan in Kuwait. I was working as chief technologist for a transportation unit and a new Deputy Commander, was holding a team building session with the staff asking us to share something we had as a goal or dream when we were younger. This meeting was one of a series of sessions held by LtCol Dan Ellis, a Reservist from Florida, with a prior session including something new we were doing since being assigned there to constructively fill our time. During that prior session, I talked about writing and maintaining this blog. For today’s session, I related the story above and expressed a small bit of regret that I had yet to become the storyteller I envisioned. 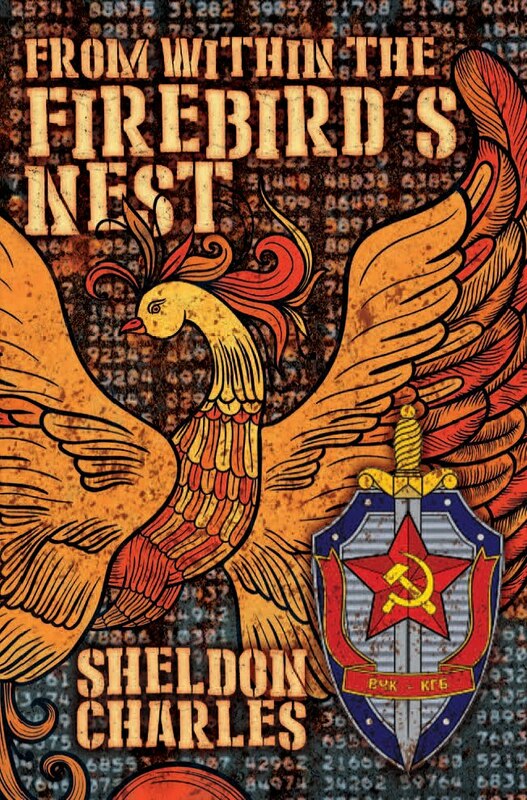 LtCol Ellis pointed out something that had never occurred to me before – I was a storyteller -- through my blog. Sometimes it takes someone outside of you to point out a truth you are too close to see. I am glad Dan did, and I am grateful to him for doing so. Someday, I may get a chance to be a purest and experience that feeling as I walk out before a crowd in front of a roaring fire, wearing a story teller costume with a cane in hand to tell tall tales. Pausing at just the right moments for the listeners to reflect on the words I have spoken. Until then I am telling stories a different way, via this blog and via my fiction writing. A career path chosen so long ago, now being realized every day, full time.